I’m super excited to be co-hosting this fabulous club with a very good friend of mine, Geraldine Kelly. 💜Whether you’re a beginner, and new to all of this, and wondering what people are talking about, or you’ve been successful with this for some time, yet still wonder why it doesn’t bring you the big stuff. 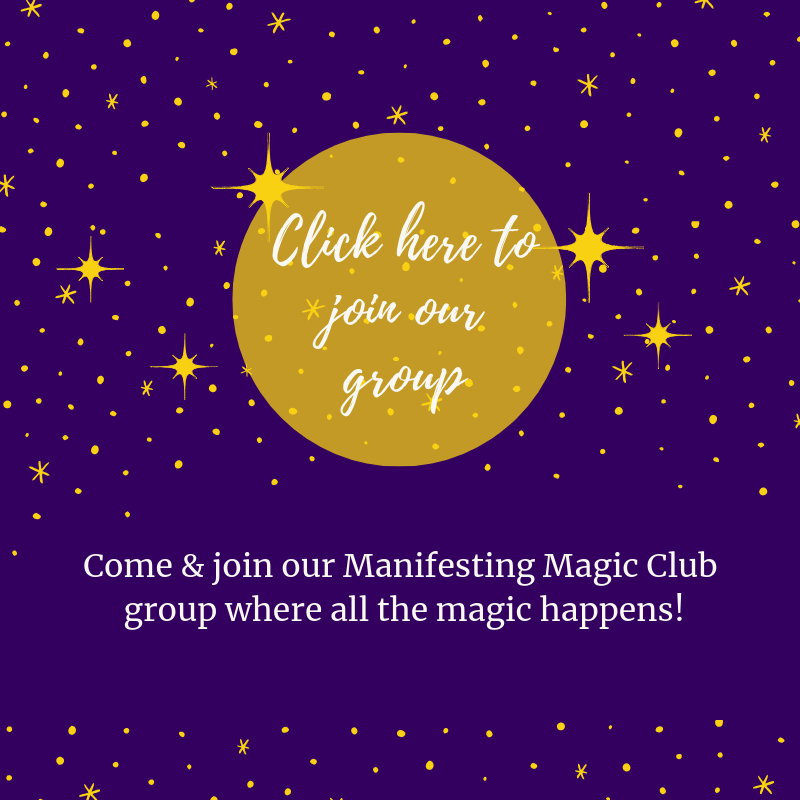 💜Join an amazingly supportive community, where we will teach you how to manifest as if by magic. If you’re prepared to take the necessary action, you have the chance to see your dreams come true. 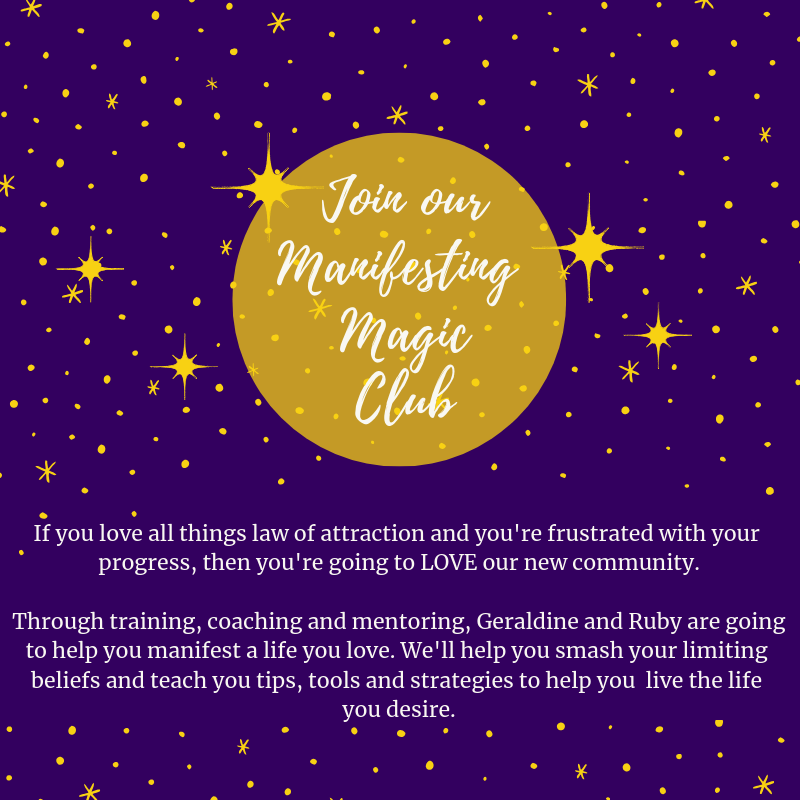 💜Get access to Geraldine & Ruby, NLP Practitioners & Manifesting Queens, for twice a week for 60-minute live calls. Think of it as your Law of Attraction masterclasses. 💜Get lots of tools, tips and strategies to make attracting what you want everyday magic! You’ll also get the opportunity to be a hot seat member for live coaching/mentoring on the calls. 💜Create the life you dream of, by identifying what matters to you most, take action and feel energised by the results you’re achieving. Come & sign up here and get instant access to our group. When you join as a founding member you get your first month free, then it’s only £20 GBP per month thereafter. Every effort has been made to accurately represent this product and its potential. Any testimonials used are not intended to represent or guarantee that anyone will achieve the same or similar results. Each individual’s success depends on his or her background, dedications, desire and motivation. As with any business endeavour, there is an element of risk of loss of capital and there is no guarantee that you will earn any money. By joining the club you agree that you will not sell any of the content online, either partly or in whole. The content is for your use only and passwords should not be shared with non-paying members. Links to full terms and conditions can be found on my FAQ’s page. Please note by downloading any club content you are waiving any rights to a refund due to the nature of this being an online product with immediate access.